This research reports the synthesis, characterization and catalytic properties ofnovel supported catalyst based on nickel acetate hydrate (denoted as NiOAC) immobilized on graphene oxide (denoted as GO) modified polyethylene glycol (abbreviated as PEG). The supported catalyst was characterized by X-ray diffraction spectroscopy (XRD), Scanning electron microscopy (FESEM), Furrier transforms infrared spectroscopy (FT-IR) and diffuse reluctance spectroscopy (DRS). In addition, under mild reaction conditions, the mentioned catalyst exhibited high photocatalytic activity and reusability in photocatalytic degradation of dyes as pollutants. 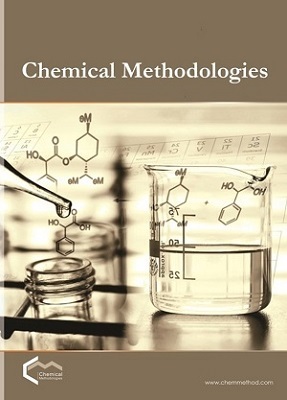 For this research, a statistical method called Response Surface Methodology (RSM) has been used to economize the number of experiments and their meaningful interpretation.The effect of various factors such as catalyst amount, time, pH on degradation of methylene blue were investigated. Optimization results for 20 ppm methylene blue showed that maximum degradation efficiency 92.9% was achieved at the optimum conditions: catalyst amount 24.6 mg, pH= 7.6 and time 23.3 min. W.Lv, M.Guo, M. H.Liang, F. M.Jin, L.Cui, L. Zhi,Q. 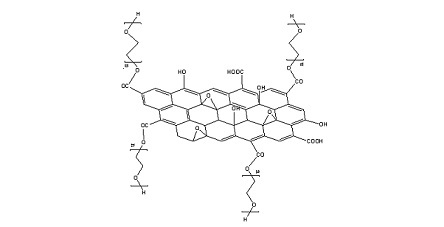 H.Yang, J Mat Chem20, 2010, 32, 6668.